Finally! 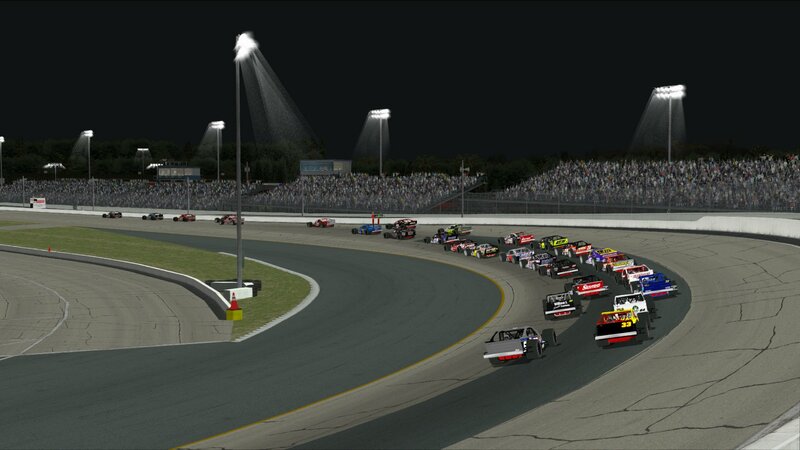 The night version of Thompson Speedway Motorsports Park is here! 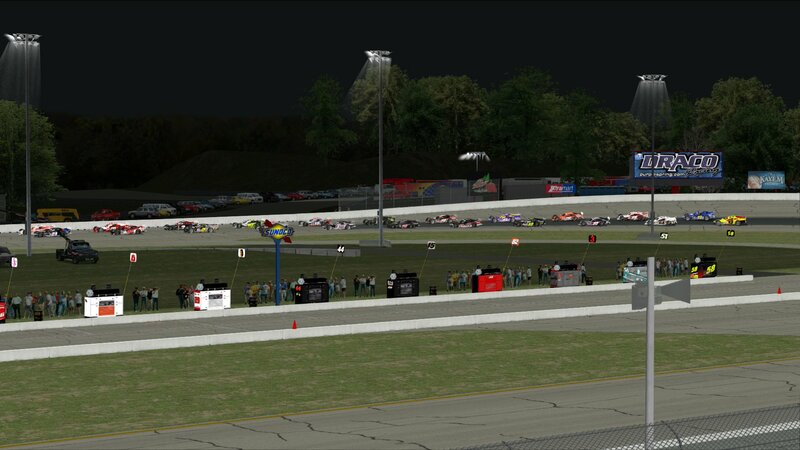 The sun is setting behind the turn 1 pit area, dusk has fallen and the lights are on at Thompson! 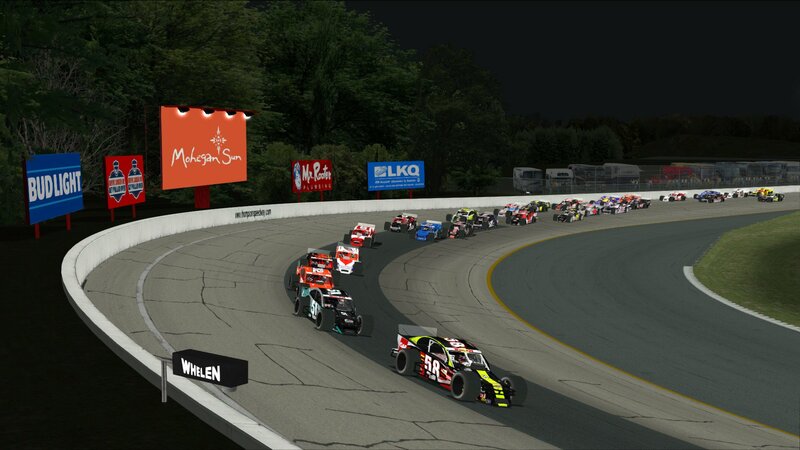 At last, short track racing enthusiasts can now run their own versions of the WMT "Bud "King of Beers" 150! 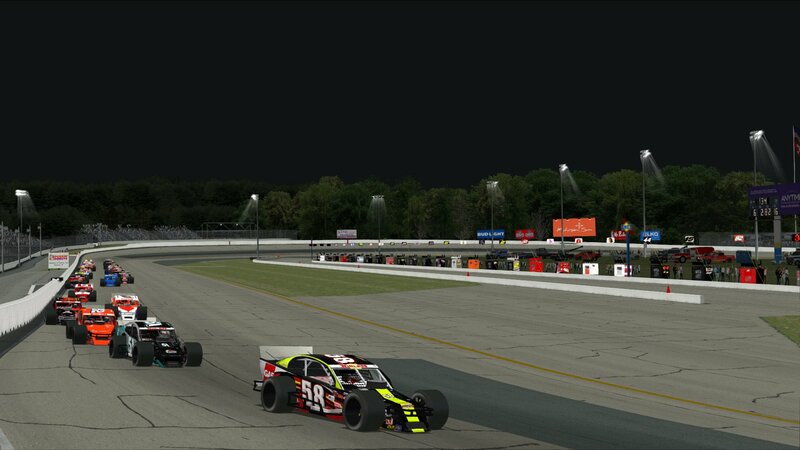 The Project: Short Track development team proudly presents their night version of Thompson Speedway Motorsports Park. • A natural sky progression from setting sun skies during Practice and Qualifying modes, to an almost fully set sun during Happy Hour and finally to a full night sky for the Race mode. • 5 different random night skies in Race mode. • An enhanced level of night environment detailing and to closely resemble the real facility. 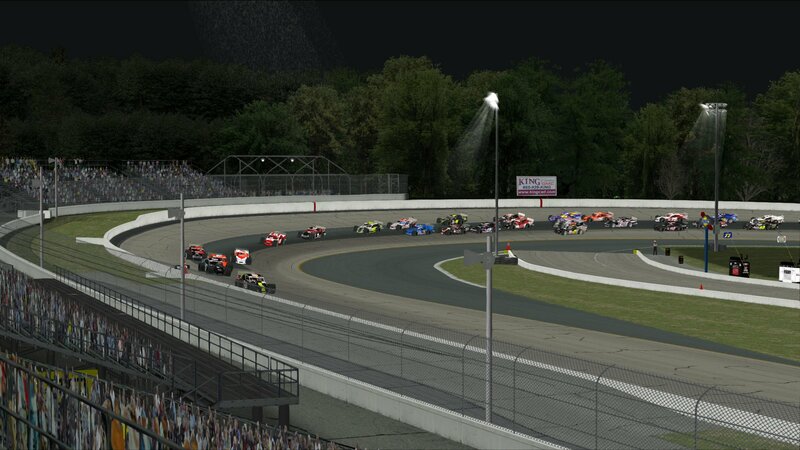 • Authentic "short track style" lineup for the starting grid (Only in full pace lap mode). As always, thanks to all of the PST Development Team: J.R. for the meticulous attention to detailing and creation of the night environment. Wayne and Ian with their outstanding modeling work. Ben for his first-hand knowledge of the facility and graphics work on haulers and billboards. Matt for providing the excellent cameras and Carl for his general help. Also, a special shout out to Fortine_oo for his consultation on the A.I. and our beta testing team: Phil Purpura, Mark Downing and Jim Windrow. 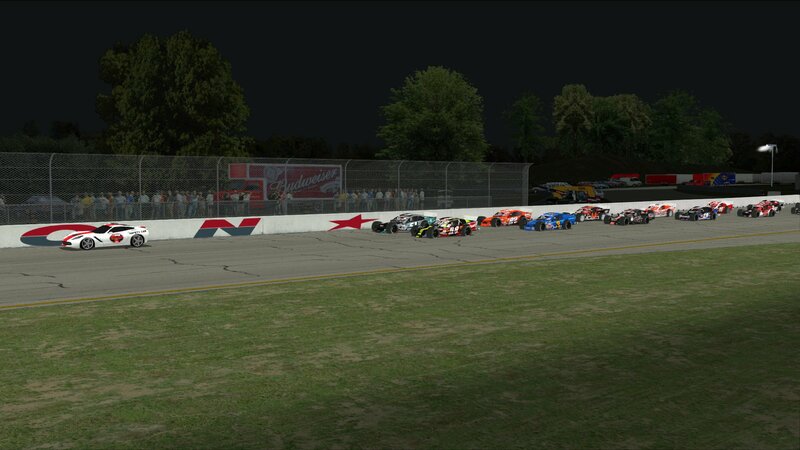 This NR2003 night version of Thompson Speedway is an accurate 0.625 mile asphalt oval with 11-15 degrees of banking in the corners and infield pitting for 29 cars. There are also very important notes in README file about the A.I. 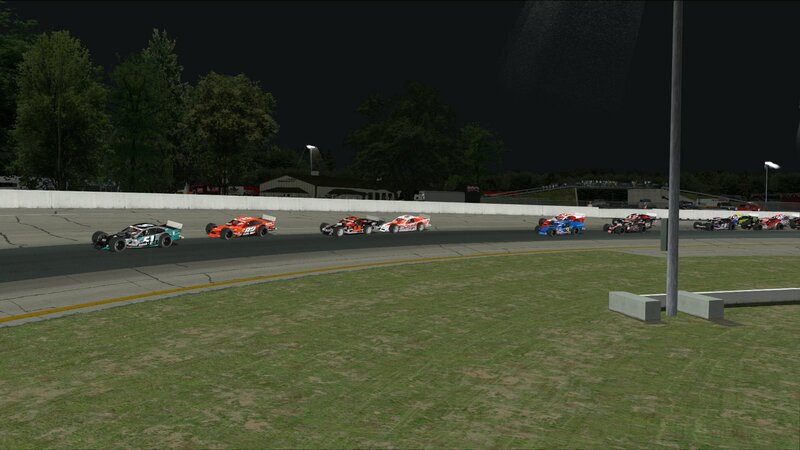 and how to get the best results when racing on the track in NR2003, as well as acknowledgement of others who contributed so be sure to take the time to read through it. Enough said already! Time to strap in... give an extra tug on those belts... and get ready for some awesome short track racing under the lights at Thompson! Are you going to race the preferred high line? Or try to hook the bottom? Either way, it's going to be tough to pass. Base Fast setups are provided with the track to get you started and competitive, but you may want to dial in your own personalized adjustments. 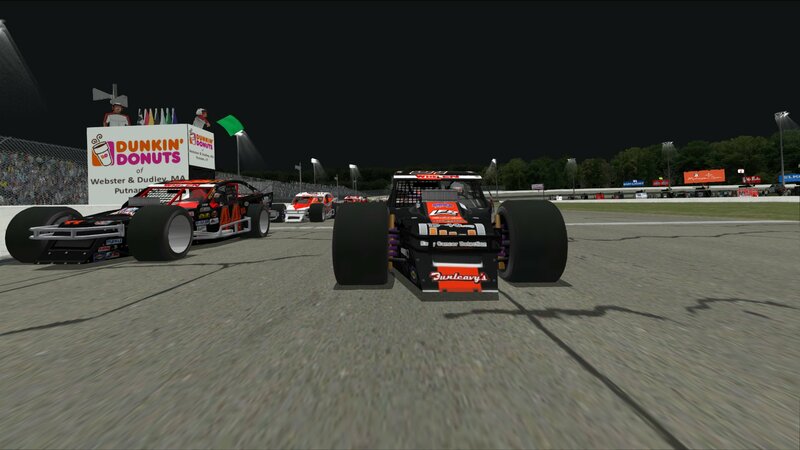 "Making Short Track Racing A Virtual Reality!"